The most dreaded task in planting a vegetable garden is contending with weed control. 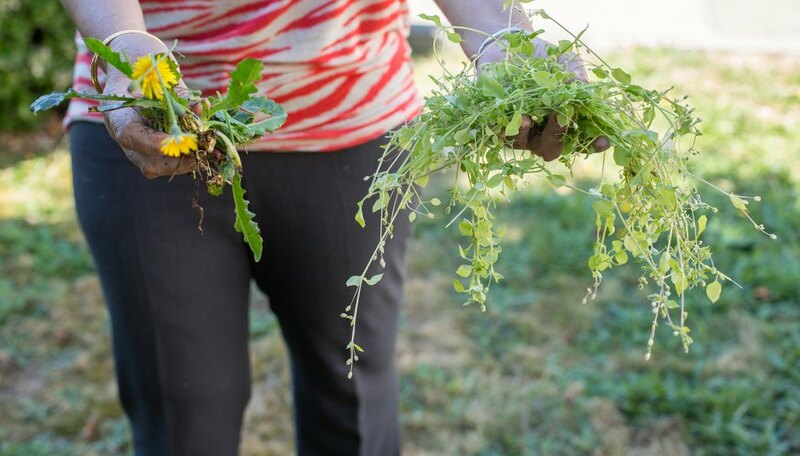 Pulling weeds to control them can be a daunting task that requires many hours. 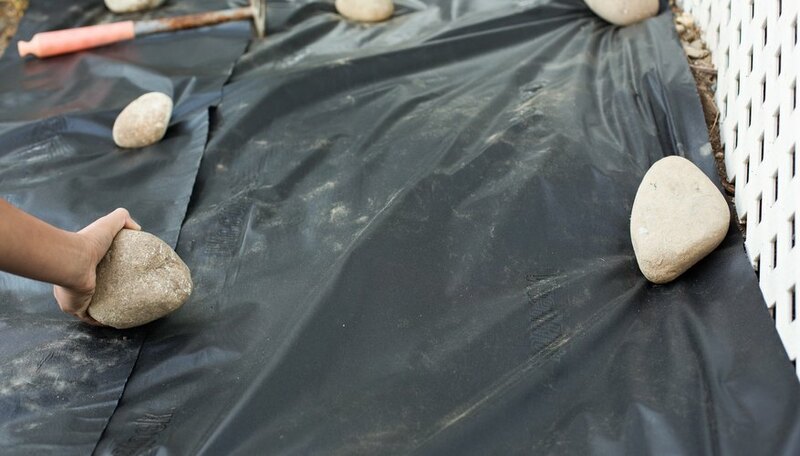 Placing black plastic over a garden bed blocks sunlight so that weed seeds underneath cannot germinate, eliminates weeding your garden entirely and retains moisture for less frequent irrigation. Black plastic is synthetic mulch that warms the soil early in the spring and increases the growing season in cool climates. Turn the soil in the garden bed with a garden tiller to a depth of 6 to 9 inches. 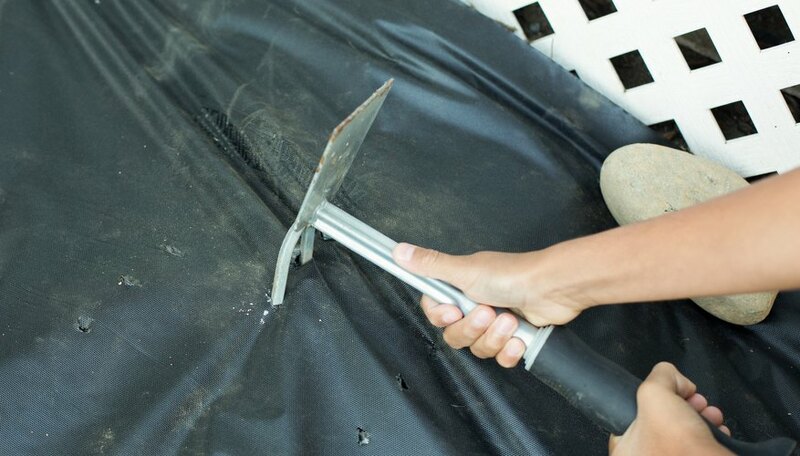 Remove any stones, sticks and debris with a garden rake. Add 3 inches of aged compost over the top of the bed and turn it into the soil with the garden tiller. Level the soil with a garden rake. If you use a soaker hose, put it in place in the garden bed. Irrigate the garden soil to wet the soil thoroughly. Place a roll of black plastic at one end of the garden bed. Place bricks on the edge of the roll to hold it in place and roll it toward the opposite end of the garden bed. Pull the plastic tightly over the garden, cut it with scissors and lay bricks on the cut edge to hold it in place. Place additional rows of plastic in the same manner, overlapping them by about 6 inches. Place bricks on the seams spaced about 1 foot apart until the entire garden is covered with black plastic. Pierce the black plastic with a bulb planter or cut an X with a knife wherever you plan to place a plant. 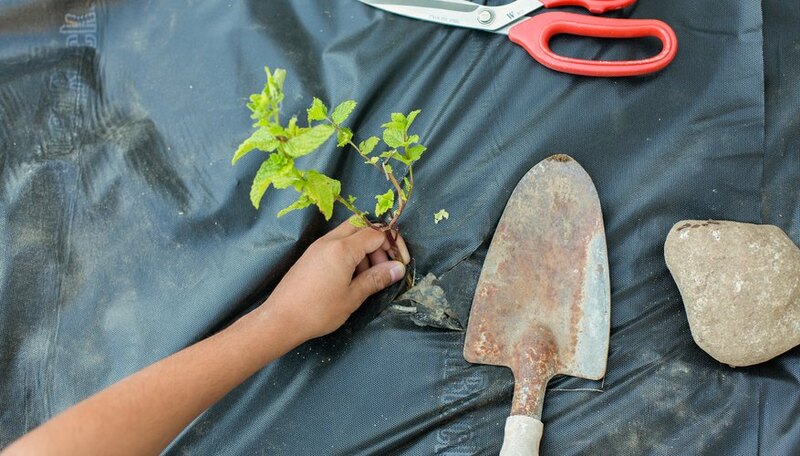 Remove soil from the opening at the correct depth for the type of plant. Plant seedlings in the holes cut in the black plastic. Plant the entire garden in this manner. Pierce the black plastic with a pitchfork about every 6 inches in all directions going up and down the rows of plants if you didn't install a soaker hose in the garden bed. This allows water to enter the soil underneath the plastic when it rains or additional irrigation is needed. Monitor the soil closely to determine when additional water is needed.